Are your baby’s first birthday, summer bar-b-q and Christmas day photos all sitting in the same folder on your desktop? Worse still, are any of these still sitting on your SD card? How many times have you broken your New Year resolution to create that photo display wall or family year book? If you’re being honest, you can probably relate to at least one of these. It takes a little effort to organise your digital photographs into neat folders on your computer. Before you revisit older photographs establish a system and when you have time, go back and organise what you can. Each time you’ve taken photographs follow these simple steps – the entire process takes only a few minutes if done regularly and you’ll soon be back on track. 1 Start to organise by uploading your images as soon as possible to avoid loss of memory cards and images. Either manually from your camera or phone to your home computer or photography website or by using a wireless memory card which will automatically upload the images as soon as you connect to your home network. Whichever method works for you, this is an easy one to tick off the list. 2 Delete squinty faces, blurry, unrecoverable overexposed or underexposed images. Choose your favourite shots from any duplicate images and delete the rest. Keeping only the best makes it easier it is to organise and store later. 3 Create a filing system by creating a hierarchy of folders. Dedicate a main folder to each year, grouping photographs in subfolders based on an event or time of year. Be sure to make folder and file names obvious. I suggest a prefix of the month, year then something related to people, places and things like ‘Millie5bday’ or ‘Frenchtrip’, this way the images should be easy to find. Make searching super efficient by tagging images with the same folder name and key feature (person or location) of the image as you curate them. 4 Create a digital negative of any pre-digital era images by converting these to digital files then follow steps 1-3. Mobile phone apps such as googlescan for android and photoscan for iPhone are effective and simple enough to use. I find it helps to ensure you have good light when capturing the images – then you’re good to go! 5 Preserve your photographs by backing them up. Ideally in two ways and keep them in two different locations. Ensure the final step of your uploading process is to back up your images on an external hard drive, storage website or whichever means you prefer. I advocate using an online service backblaze.com, that continuously runs software that backs up your computer’s contents. The plans cost about $5 a month or $50 for the year for unlimited storage but the peace of mind this brings is priceless. 6 Off your device and into your life. Who doesn’t have a box full of prints sitting in a cupboard somewhere? Enjoy your images every day by printing and framing and create beautiful displays or family albums. There are plenty of online suppliers which can offer templates if you’re tight on time. 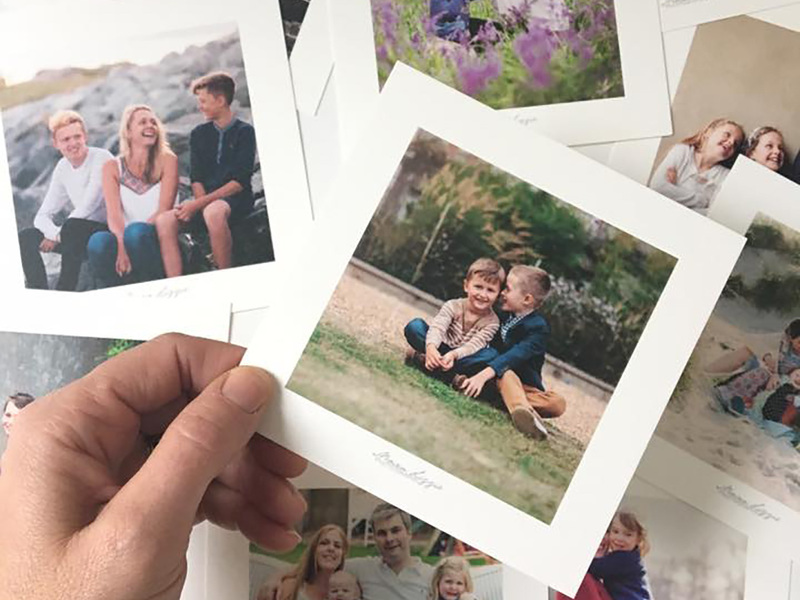 There’s nothing like holding a print and sharing it with family and friends – hopefully by 2019 you’ll have some fresh ones to share! Top Tip If you’re feeling overwhelmed it might help to create the filing system and back everything up first. Set aside maybe 15-30 minutes a day and, starting with your most recent photographs apply each step before working backwards through older photographs and folders. Remember to follow the steps with any additional photographs immediately as you take them so that you can keep on track.